No matter where we’ve come from, how we got here or why we’ve made Australia home – we share our future. Together, we can create communities characterised by welcome and a nation known for its diversity, unity and generosity. 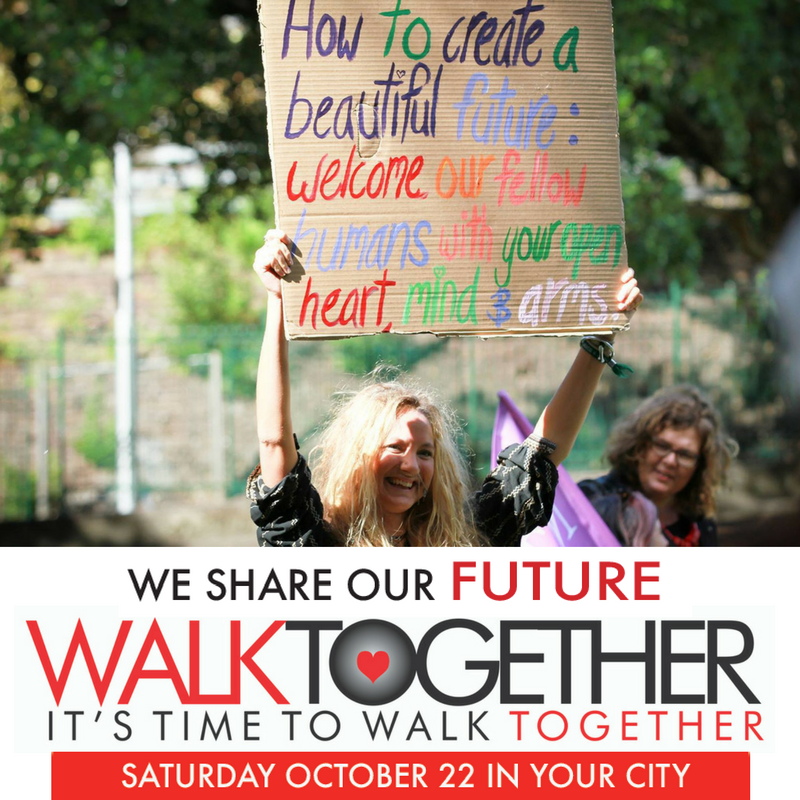 If you believe that compassion builds a better future than cruelty, that fear and prejudice only damage our character and you dream of a day when all people have equal opportunity to belong, contribute and thrive – then join us on October 22 at Walk Together in your city. Visit https://www.welcometoaustralia.org.au/walk-together-2016/ to attend, volunteer – or to add your town to the list! To find out more about this annual event, and how you can volunteer in your city, head to www.welcometoaustralia.org.au/walk-together-2016.